The move is a reversal of Sony’s previously held idea that cross-platform play wouldn’t be the best experience for PlayStation gamers. Gamers rejoiced on Wednesday at the news that PlayStation, the last major holdout that prevented players on various platforms from playing together, gave in. "Fortnite" players on PlayStation will now be able to play with friends on every other major platform. "I actually can’t believe it, said pro-gamer Jack Dunlop on Twitter. "Fortnite has done something that has NEVER HAPPENED BEFORE IN THE HISTORY OF GAMING. Cross-platform between everything. Absolutely brilliant. PC, PlayStation, Xbox, Nintendo Switch, Mobile. THANK YOU to all who helped make this happen." PlayStation announced on Wednesday that it had begun testing a feature that will allow people to play with gamers on other systems, such as Microsoft's Xbox One and Nintendo's Switch. 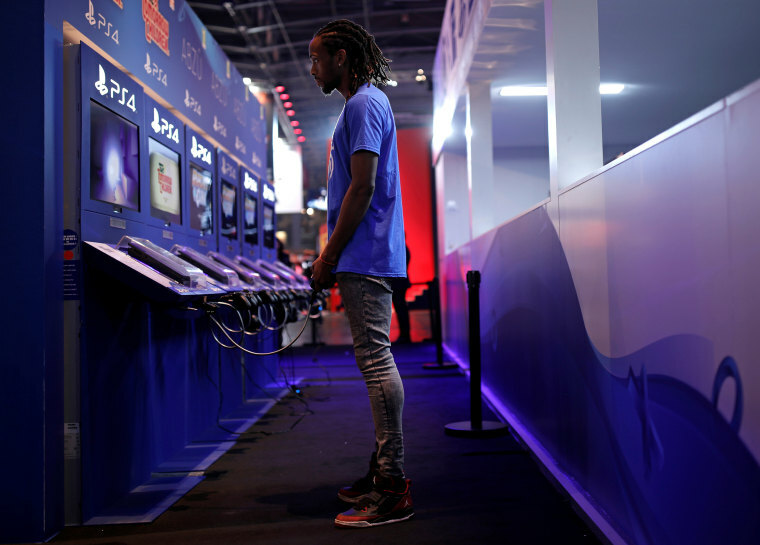 The celebration underscored how much the video game industry has evolved in recent years, as social gaming has pushed companies to allow players on various consoles and systems to play their favorite games together over the internet. The test will begin with the popular game "Fortnite," which has dominated the video game industry since the launch of its 100-person "Battle Royale" mode in September of 2017. Since then, analysts have estimated that the free-to-play game has brought its maker Epic Games more than $1 billion in revenue. The test will support play between “PlayStation 4, Android, iOS, Nintendo Switch, Xbox One, Microsoft Windows, and Mac operating systems,” Koder wrote. “On cross-platform, our way of thinking is always that PlayStation is the best place to play," Sony chief executive Kenichiro Yoshida said to the Press Association in August. "'Fortnite,' I believe, partnered with PlayStation 4 is the best experience for users, that's our belief." Previously, "Fortnite" cross-platform play for PlayStation was only supported with players on smartphones and computers, while on all other consoles, such as Xbox One, cross-platform play was supported with all available platforms. Although the beta test for the cross-platform play will begin only with "Fortnite," PlayStation said in the statement that they will be updating their gaming community on what cross-platform play could look like for other titles. Richard Tyler Belvin, a pro-gamer that goes by the alias "Ninja," also tweeted his support of the move. "Proud of you @PlayStation," he wrote in his post. Tony Polanco, a writer for Geek.com, tweeted that the notion of people on Sony and Nintendo systems playing together seemed impossible not long ago. "The most shocking part is crossplay between Sony and Nintendo," Polanco wrote. "Considering their history, I thought that'd never happen. Guess times are really changing."